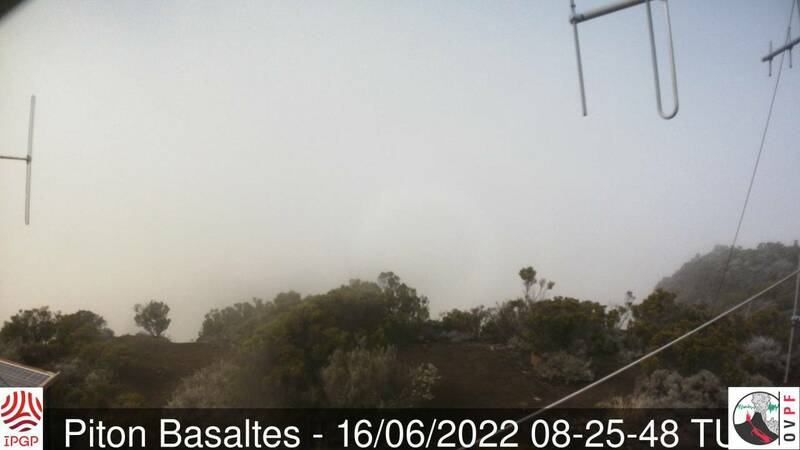 We propose you to visualize 6 cameras, all installed and arranged around the volcano, to give you a better idea of the current weather conditions. Weather conditions can change quickly. We advise you to keep an eye on this page, whether with your computer, or your smartphones. 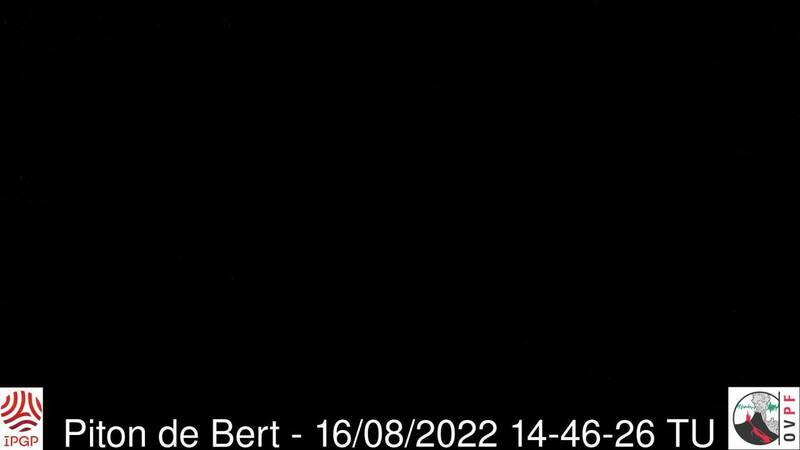 The webcam gives a view on the bottom of Cratère Bory. 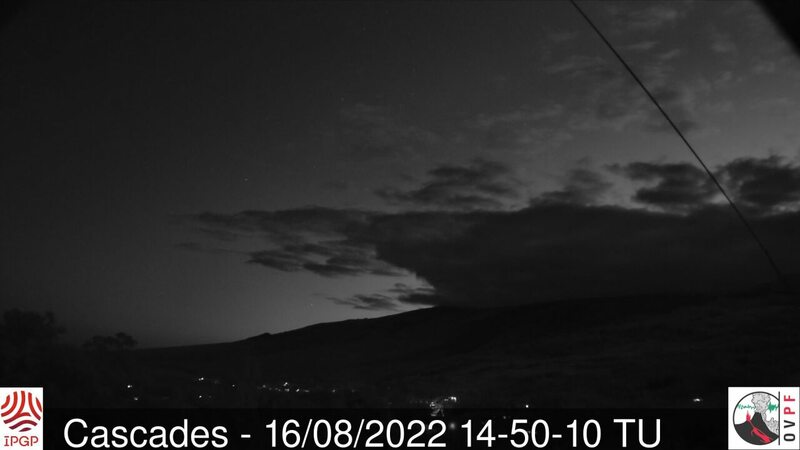 The webcam gives a view on the west face of La Fournaise, the Plaine des Sables, the Chisny and the Piton Haüy. 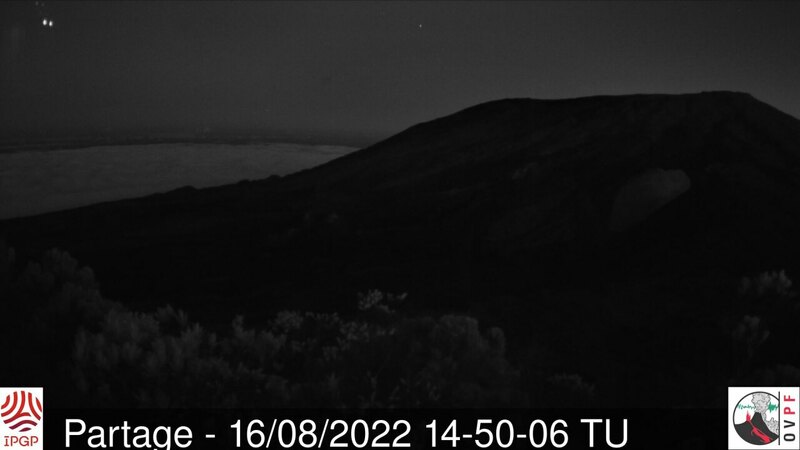 The webcam gives a view on the North Piton de La Fournaise. 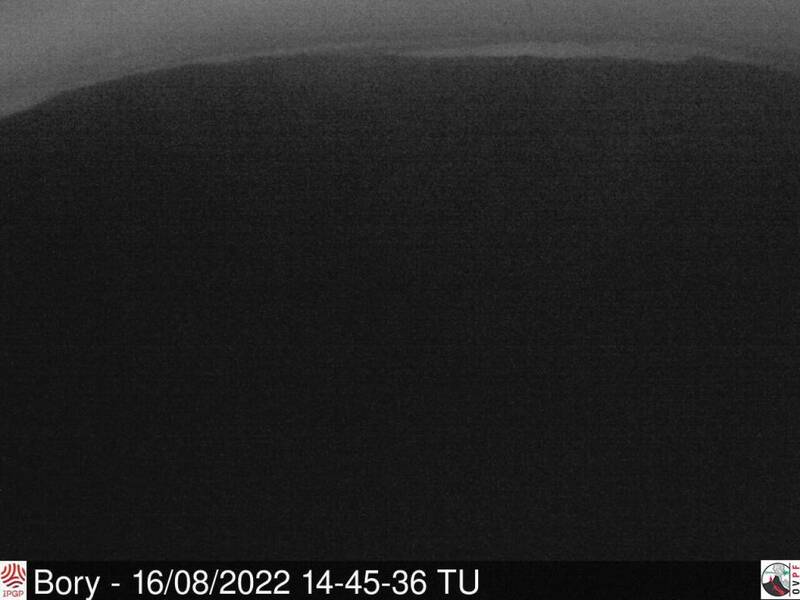 The webcam gives a view of the enclos Fouqué towards the Grandes Rampes and the Southeast flanks of La Fournaise. 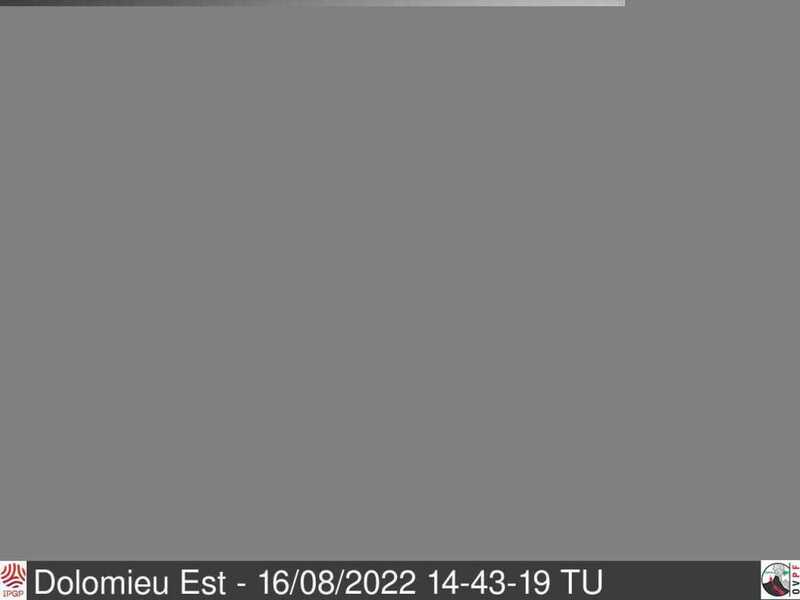 The webcam gives a view from Dolomieu East. The webcam gives a view from the Piton des Cascades.